Direct injection of Regen Platlet Rich Plasma into the skin supports and helps accelerate the process of tissue regeneration and repair. We have now seen drastic improvements in many of our patients. 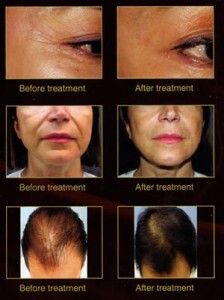 Incredible result after one treatments.Platet Rich Plasma is a wonderful new treatment that gets results!